This first class managed Business Centre provides superb and flexible work space with a variety of office sizes, ranging from 140sq ft. up to 8784 sq. ft. space. You select the package that best suits your business enabling you to maximise resources and pay for only want you need using easy in, easy out licence agreements. The professional and friendly on-site management team will look after you and your business environment which includes high speed broadband and telecommunications. The Centre is modern and bright, and facilities include reception, breakout areas, smart kitchens, WiFi, 24/7 access, CCTV and car parking. 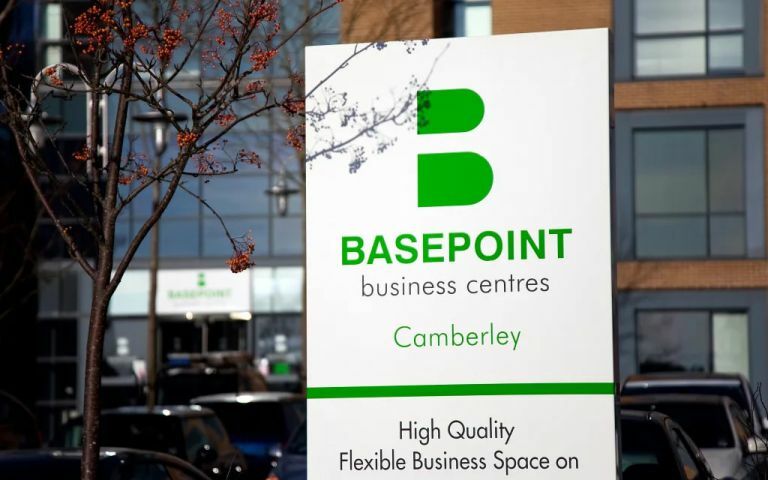 This offices are located on the A30 London Road to the West of Camberley Town Centre, with close access to the M3 which leads to junction 12 of the M25 and London Heathrow Airport (17 miles to the East). Farnborough Main Railway Station with trains running straight into London Waterloo is 10 minutes away. These offices in London Road offer a range of prices depending upon your exact requirements. Contact us now and we will help find the best price for you, based on your individual needs.